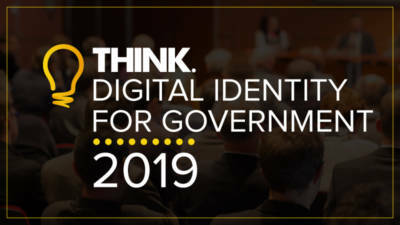 Think Digital Partners is very pleased to be able confirm that Cheryl Stevens MBE, Deputy Director Identity and Trust Services at DWP will be one of our panel of experts in the session that focuses on the Public-Private Sector Intersection of Identity. This panel will discuss the differences and similarities in digital identity across both the public and private sectors. It will consider what the blockers are to the commercial sector using government IDs and vice versa, considering some of the technical, commercial, user perspective hurdles. It will also draw out the what the lessons are from these differences and similarities and what that means in terms of the drivers for ID. Susan will be joined in the session by Cheryl Stevens MBE, Deputy Director of Identity and Trust Services at DWP. Cheryl joined the civil service in 1999 and has held a variety of leadership posts since with a career focus on leading operational service design and transformational change. Cheryl led HMRC’s tax credits fraud & error programme for a number of years before joining the Department for Work and Pensions in 2015 where she continues her passions for welfare reform and preventing fraud and error. Cheryl holds the role of Deputy Director Identity and Trust, reporting to the Director of Digital Delivery. You can register to attend our digital identity conference here.